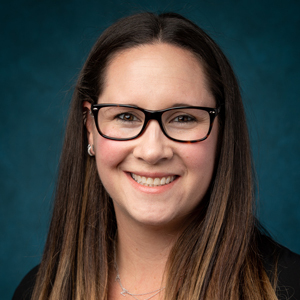 Dr. Hanni Flaherty, clinical assistant professor in the Wurzweiler School of Social Work, has been recognized by the National Association of Social Workers—NYC Chapter as a Sapphire Leader for her exemplary service and contributions to the social work profession. She received her award at the 12th Annual Leadership Awards Fundraising Dinner on Thursday, March 28, 2019, in New York City. Below is a personal statement by Dr. Flaherty about receiving the award and the scope of her work. “I am so happy to be receiving this award as a result of my dedication to the field of social work in the roles of teacher, researcher, and practitioner. “My career has focused on reducing the stigma of mental health and improving mental health services through clinical practice, research and education. I have always felt a strong desire to help people, and that desire is what first brought me to the field of social work. After earning my master’s degree from New York University (NYU), I immediately started working at the Jewish Board of Family and Children’s Services specializing in adolescent high-risk behaviors. “After more than ten years of clinical practice, I developed a keen awareness of the disconnect between research and practice. Despite effective interventions being developed and studied, it did not appear that mental health settings or clinicians were implementing them. This observation led to my research question: ‘How can I bridge the gap between practice and research?’ In seeking an answer to this question, I returned to NYU again to pursue a PhD. “Working as an assistant clinical professor and the associate director of the doctoral program at Yeshiva University’s Wurzweiler School of Social Work has offered me new opportunities for pursuing my passion. Through conducting research, publishing, presenting my research nationally and teaching master’s and PhD level classes, I have been able to take my goals of reducing stigma and improving mental health services a step further through sharing knowledge to empower the next generation of social workers. “Engaging in clinical work through private practice has also fostered my ability to carry out this commitment. I am a founding member of Alma, a new co-practicing community for therapists on a mission to simplify access to therapy and normalize mental health. My tasks as teacher and clinician are interdependent with each other. For example, I conduct practice-informed research, provide research-informed therapy and teach about the importance of joining the art and science of social work. providing clinical supervision to early career social workers.